Australian actor Marta Dusseldorp talks to DQ about filming the final season of period drama A Place to Call Home, her returning roles in crime thriller Jack Irish and courtroom drama Janet King, and why she’s drawn to family dramas with a twist. 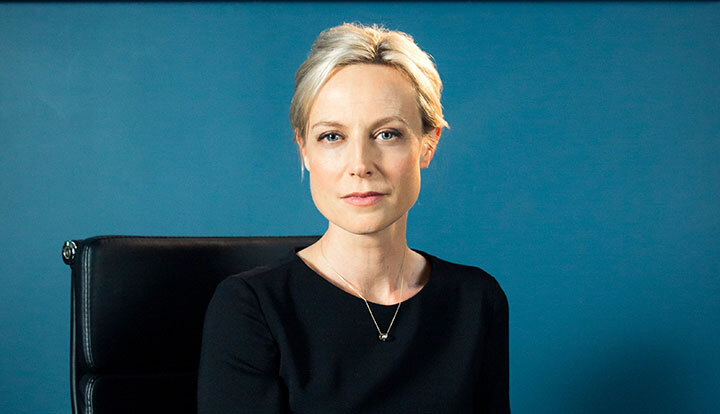 With a screen career spanning more than 25 years, Australian actor Marta Dusseldorp is one of the country’s biggest stars. Yet she recently said goodbye to one of her most iconic roles, with Foxtel series A Place to Call Home entering its final season. Having starred as Sarah Adams in the 1950s-set period drama since it first aired in 2013, Dusseldorp and the show bow out with the sixth run, which began in Australia earlier this month and lands in the US on streamer Acorn TV tomorrow. Created by Bevan Lee, A Place to Call Home is a sweeping romantic drama set in rural Australia, dealing with important social issues of the time: homosexuality, single motherhood, racism and the lingering effects of war. The final chapter of the saga brings love and healing to the central Bligh family as each member finds their true meaning in life. “I have completely walked, lived and breathed this show for so long that Sarah and her journey is now a part of me,” Dusseldorp says. “When I first met her, she walked alone. She was a survivor of the Holocaust – that really defined her – and she was a nurse. Putting the two together meant she had no need for herself, she had abandoned that idea, and was purely into being able to help ease the suffering of others, bear witness to the people who had died and live an honourable life. Dusseldorp recalls Lee revealing his vision for the show’s final scene back during season one, and describes the end of the series as being driven by both creative and commercial considerations. “It was a conscious uncoupling. Evan felt it was finished creatively and Foxtel were so excited and happy with the way it had been. We lose a production offset after a certain number of hours, so the show suddenly becomes much more expensive, so it’s a business decision to finish as well. But, overwhelmingly, it was a creative decision. Bevan got to tell it completely as he saw it,” Dusseldorp explains. 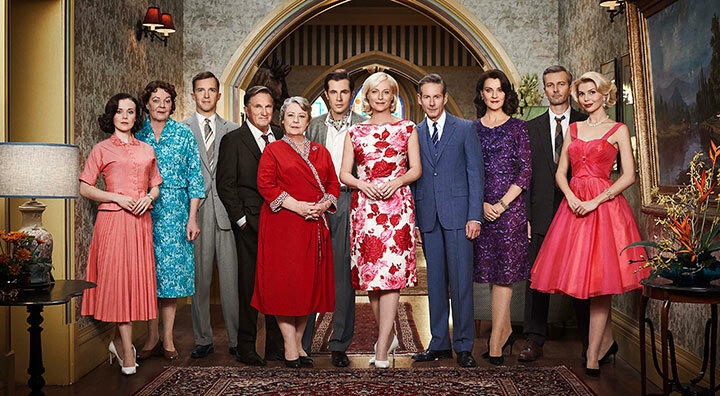 Touted as Australia’s best-loved drama, A Place to Call Home is produced by Seven Network (which aired the first two seasons before it moved to Foxtel) and has been sold around the world by Endemol Shine International. Dusseldorp says the show’s high production standards, coupled with its period setting, have made it irresistible to viewers. “Even though we have a 10th of a US show’s budget, we manage to punch above our weight quite a bit. The heads of department go out of their way to make it look a million bucks, even though it costs half that,” she explains. “But I also think it’s not a negative show, it’s a positive show. It talks about hard issues but also has a joy and frivolity we all need. And the fact it’s resonated internationally is also really satisfying for everyone. Also an acclaimed theatre actor, Dusseldorp is currently treading the boards in A Doll’s House, Part 2 in Melbourne. 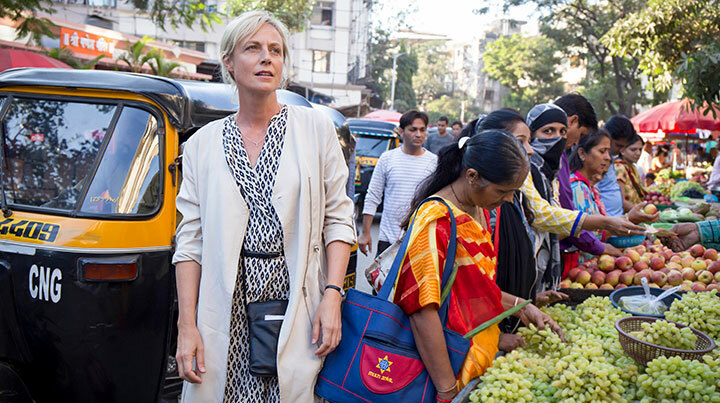 And while she concedes it’s a “completely different” world from TV drama, Dusseldorp says she’s enjoying the chance to do something different after finishing A Place to Call Home and reprising two other long-running TV roles, as journalist Linda Hillier in noir thriller Jack Irish and the title character in legal drama Janet King. Based on the crime novels by Peter Temple, Jack Irish began life as a trio of TV movies on Australian public broadcaster the ABC, before two full seasons were commissioned. The most recent episodes launched on the pubcaster in July and will roll out on Acorn TV on September 10. Guy Pearce (Memento, LA Confidential) plays Irish, a former criminal lawyer turned private investigator, with Dusseldorp as reporter Linda, who becomes embroiled in the lead character’s investigations following an on-off romance between the pair. Meanwhile, the most recent season of Janet King, itself a spin-off from 2011 legal drama Crownies, aired on the ABC in 2017. It sees Dusseldorp play a senior crown prosecutor, and has run to three seasons so far. The actor says she doesn’t feel “either way” about immediately returning to the drama, but says she would like to echo the Prime Suspect model that saw Helen Mirren reprise her role as police detective Jane Tennison in the British series sporadically across 15 years. For fans of TV drama living down under, things are about to get very interesting indeed. Pay TV platform Foxtel this week announced plans to “create the best in Australia” by doubling its investment in original content, including factual, lifestyle and entertainment programming by 2018. The key point, however, came when it was revealed that in each of the next three years, Foxtel will commission at least five major drama series. Currently it averages two every 12 months. And while other programming genres will get a boost in funding, the budget for scripted content, including comedy, will be tripled. 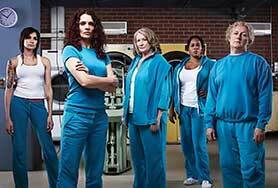 Viewers of prison drama Wentworth will be well aware of Foxtel’s push into local drama. 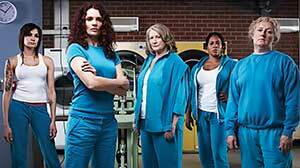 The series, which debuted on the SoHo channel in 2013, is described as a contemporary reimagining of the classic drama Prisoner and has proved such a success that a fourth season was ordered earlier this year. Other homegrown commissions include A Place to Call Home and The Kettering Incident. The former, created by Bevan Lee, is a 1950s period piece that follows one woman’s journey to heal her soul and a privileged family rocked by scandal. After two seasons, a landmark deal between Foxtel and Seven Productions last year saw a further two runs commissioned, with season three due to launch on SoHo later this year. The Kettering Incident, created by Victoria Madden and Vincent Sheehan, is an eight-part mystery thriller that sees a woman uncover terrifying secrets hidden in her town as she investigates a missing person case. Uniquely, it is also the first major TV drama to be filmed entirely in Tasmania. Foxtel has already put other news series into development. The first to be announced is Secret City, a political thriller inspired by novels The Marmalade Files and The Mandarin Code, both co-written by journalists Steve Lewis and Chris Uhlman. The six-part series, produced by Matchbox Pictures, is set in the Australian capital Canberra where a journalist uncovers a web of interlocked conspiracies that are putting innocent lives – including her own – in danger. The cast includes Anna Torv (Fringe), Damon Herriman, and Dan Wyllie, and it is set to air in 2016. The news of Foxtel’s original-content investment echoes similar plans by Sky in the UK. In 2011, its CEO Jeremy Darroch unveiled ambitions to invest more than £600m (US$944m) a year in fresh British programming by 2014 – an increase of 50% on its 2011 budget. This led to new dramas including The Tunnel and Penny Dreadful, while Darroch has since vowed that Sky will continue to raise its game towards £1bn a year. However, whereas Sky’s plan was a proactive bid to attract more viewers who weren’t interested in its movie or sport channels, Foxtel’s own drama investment could not have come at a more critical time for its business. US VoD giant Netflix stepped up its international expansion earlier this year by landing in Australia, hoping to attract subscribers to its own original drama series and, in turn, possibly denting Foxtel’s numbers, while other online players including Stan are also up and running. With drama series now commonly promoted as the flagship content for a television network or platform, the quality – and quantity – of shows is only going up, fuelled by extra investment. This growing competition, across free and pay TV and online, is great news for viewers, who can look forward to hours of new programmes – providing they are willing to pay for it.